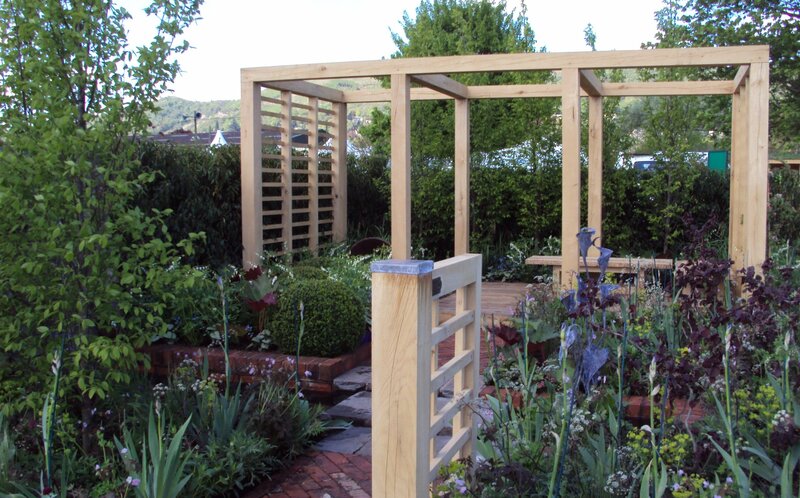 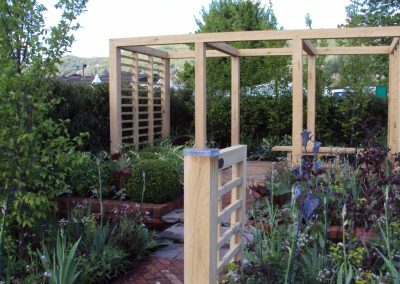 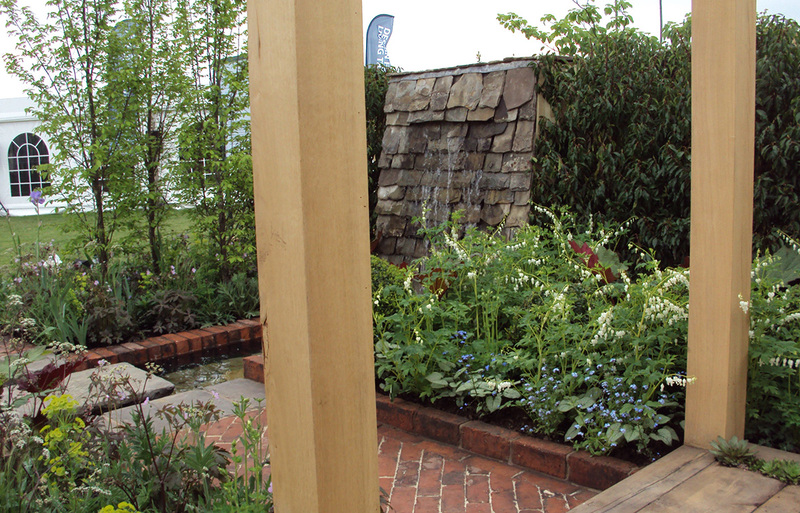 A garden to showcase the use of recycled materials in the garden, and with a bespoke green oak pergola taking centre stage. 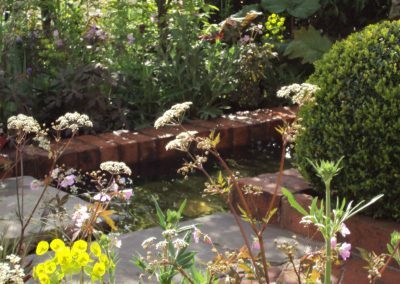 An offset brick path leads through the garden, with a stepping stone across the rill giving a sense of jeopardy in the garden, whilst nearby a wall of water rushes into the rill to bring reflected light and movement to the scene. 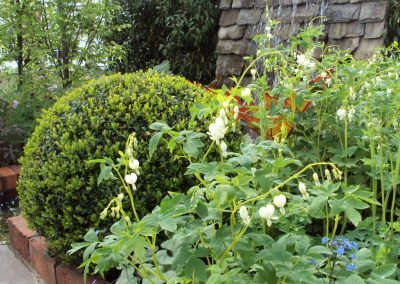 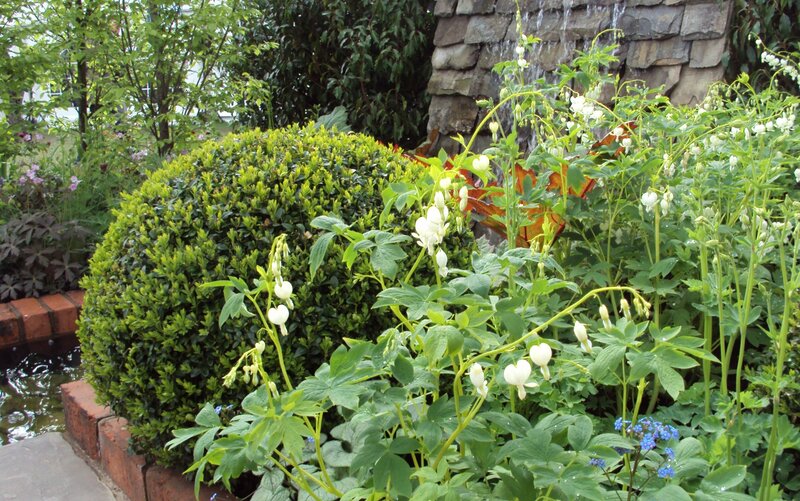 Planting includes clipped box balls and white dicentra, with blue irises, cirsium, geraniums and euphorbia. 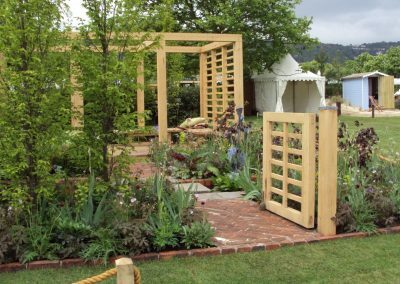 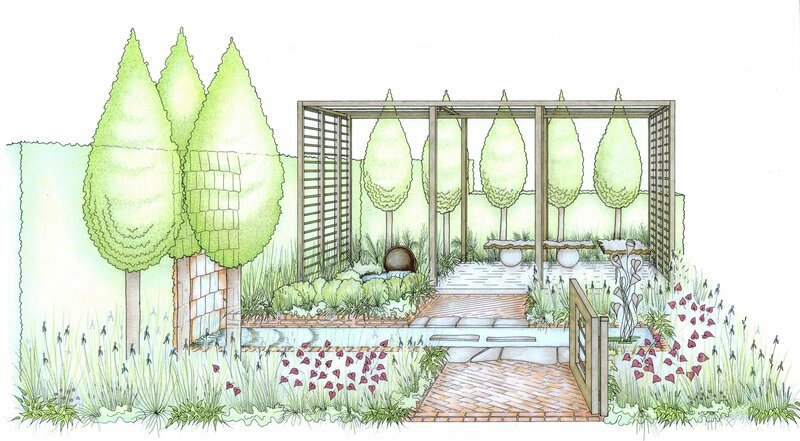 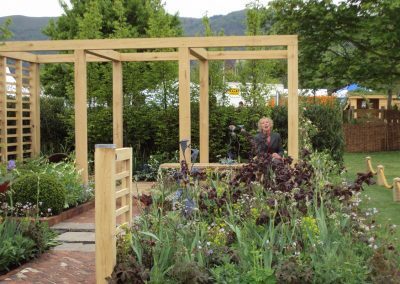 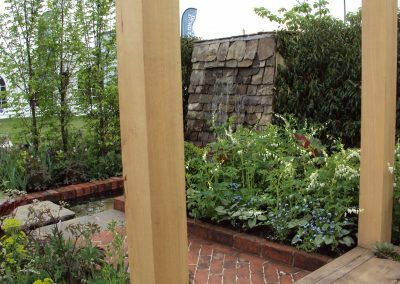 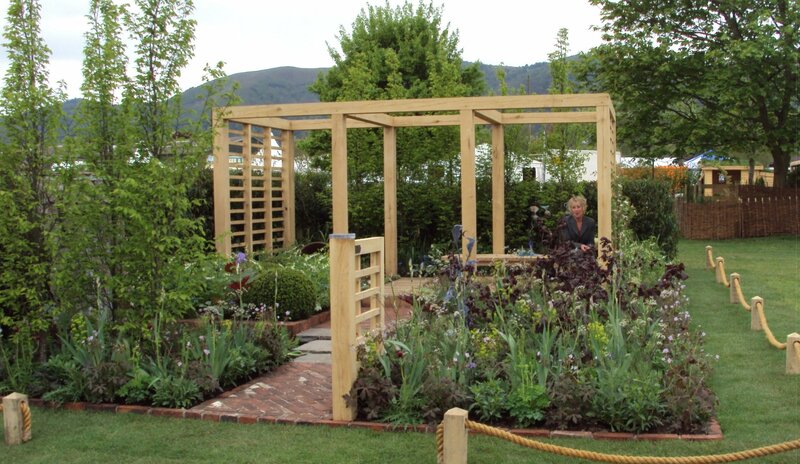 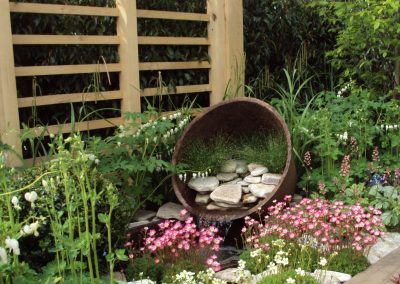 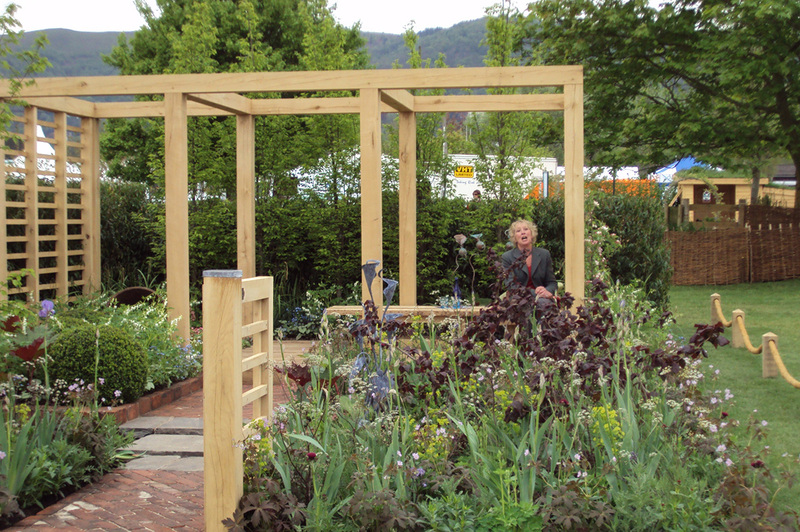 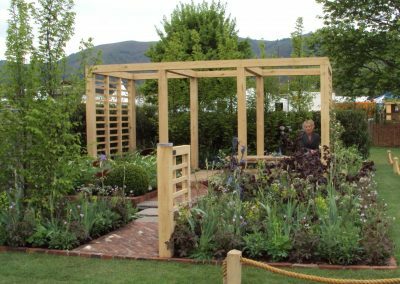 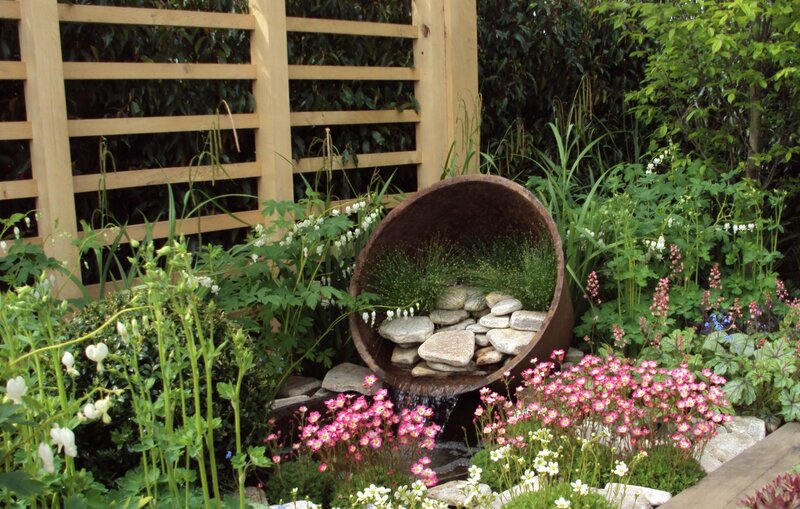 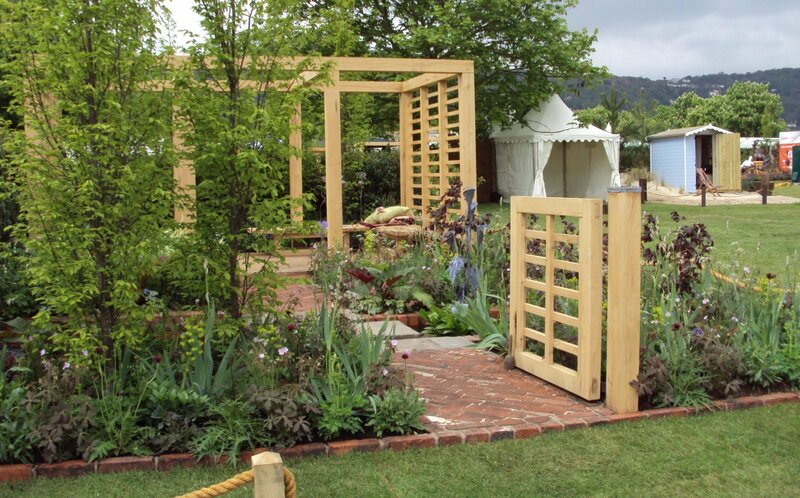 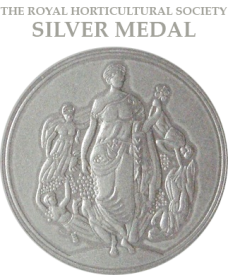 Alison Miles has been designing gardens since 2004, achieving two RHS medals at the Malvern Spring Gardening Show – a Silver-Gilt in 2010 for her ReSource Garden showcasing the use of reclaimed materials in the garden, and a Silver medal in 2013 for The Haven a garden for calm repose. 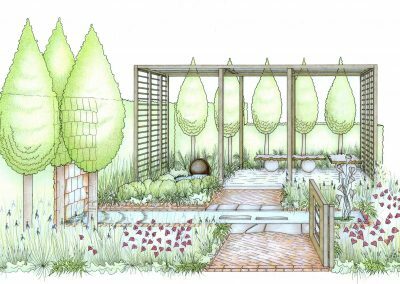 © 2018 Hollymead Garden Design. 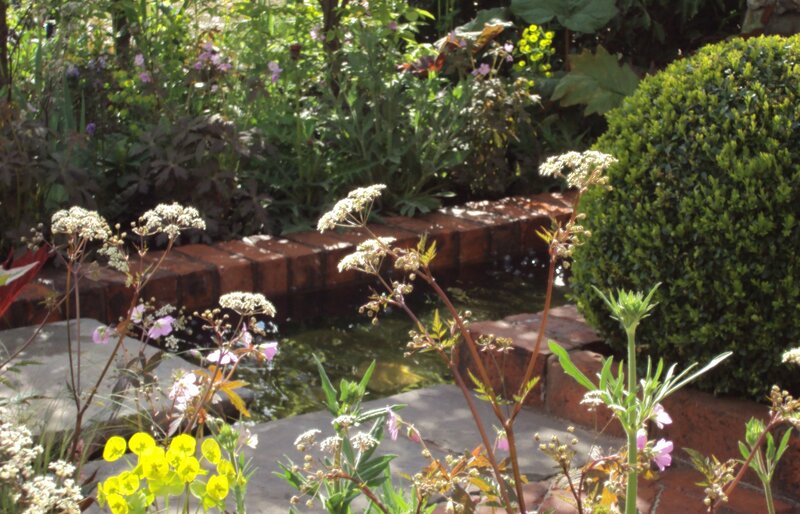 Web design by DMD Hereford.